The Ninjago film is a simple enough merchandise-promoting movie from Lego, which seems to be continuing the trend of creating stories out of its thematic sets. Considering the success of the previous Lego movies, this is hardly a surprise. Ninjago is a somewhat more kid-oriented movie with a simple plotline. The themes and plot points are fairly expected and predictable, although it carries through it all with brisk speed and action. It also attempts to continue the humor patterns of the previous Lego movies and manages to do so with erratic success. The movie clearly dispenses with the plot twists more present in the prior films. Despite the strength of Jackie Chan as Master Wu and the amusing performance of Mark Olivier as Lord Garmadon, the cast felt rather lackluster. The distinct characterizations displayed in the prior Lego movies wasn’t very visible in the Ninjago film, be it from the voice actors themselves or from the lines and scenes they were given. Overall, the movie was a clear plug for the city and Ninjago play sets and figures, and it does showcase these elements well enough. Sadly, the story and characters do really leave something to be desired. 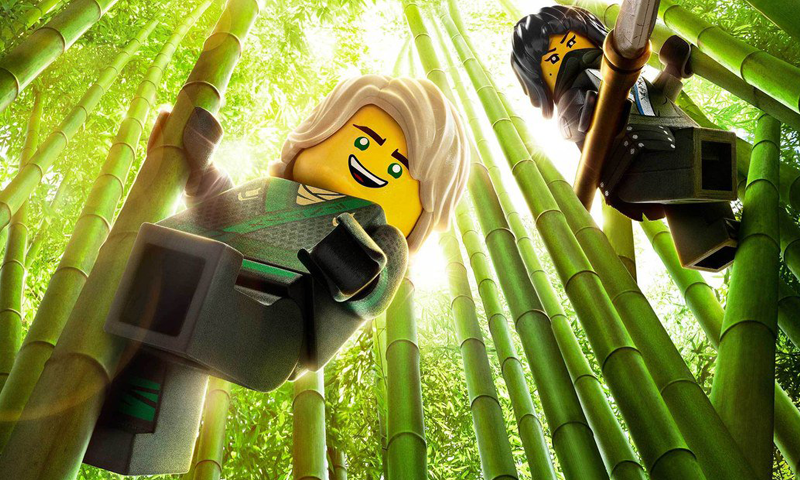 Visually interesting, but Ninjago falls a whole level below the prior Lego films in overall quality and enjoyment.